Once you’ve flicked through Arjan Oude Kotte’s photo stream, be sure: You’ve seen the best of brick-built vessels. But every ship needs a harbor to tie up in, and where there’s a harbor, there are huge dock cranes. 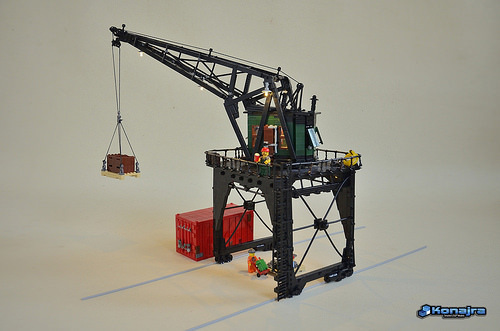 Arjan has just finished one, and this is not an ordinary crane. This one is a beautiful copy of a vintage iron giant from the 1900s. It is extremely realistic, including an amazing lighting system, which looks utterly charming.